Brief: To Design a Truck for future era 2020 for Ashok Leyland. • A truck should run approximately 15 hours in a day. • The truck cabinet should have a space to carry 2 humans with their essentials. • The truck should reflect new system & technology that will sustain the norms of future. • The truck should be a human centric product. 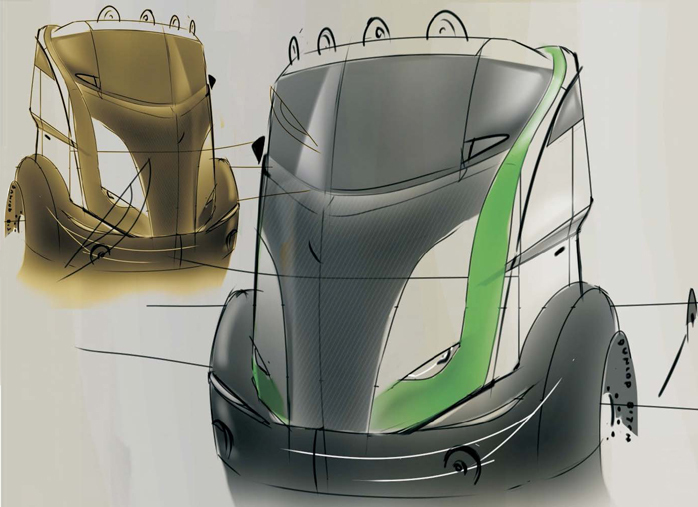 • The truck (cab) should reflect a new design language. • The cab should have a new experience of driving. • The truck should be powered by the GM-Hy-Wire technology.